Dr. Hanif Asaria and the team of Calgary Dental Centers have committed their practice to helping patients with a range of services that are crucial to maintaining oral health and wellness. Our team of professionals are here to help with a variety of methods used to achieve better dental health, ensuring the smile lasts a lifetime. One proactive way in which patients can maintain their oral health is with the use of routine dental cleanings. These procedures have a purpose to fight off cavities and periodontal disease. Visiting a dentist in the area of Calgary, AB on a regular basis for regular examinations is essential to sustaining dental health. 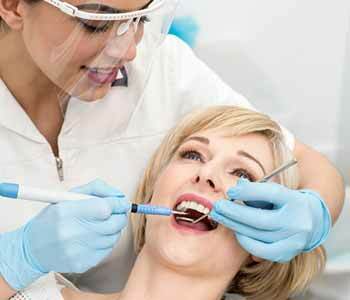 What is the purpose of a dental cleaning? While patients often brush and floss each day after their meals, this may not provide the thorough cleaning needed to keep conditions such as periodontal disease and cavities at bay. Some areas may be harder to reach, making it difficult to maintain. When patients visit their dentist regularly, they are able to have procedures done to address any hard-to-reach areas that may be developing plaque and tartar. Our dental hygienists are able to give patients a deep clean throughout to improve their oral health and wellness. At the same time, during a dental cleaning, our professional team can assess the smile’s overall health. They can look for conditions that may be developing such as cavities and periodontal disease and provide immediate treatment to maintain oral health and wellness. During routine dental visits, our team may also perform x-rays to check the health of the smile underneath the gum line, where conditions may develop without being seen. A comprehensive exam done twice a year can make a huge difference in dental health and wellbeing for life. Dental cleanings are an important part of preventive dental care. When patients maintain their routine dental visits with our team, they are committing themselves to their oral health and fitness. They are making the commitment to keep their smile beautiful for life. 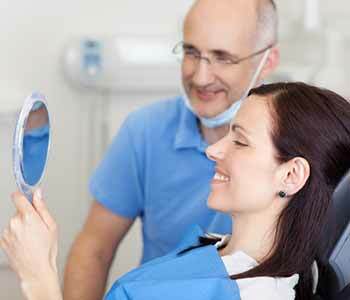 With preventive care, patients are also taking a proactive approach to their dental health. With routine visits with our dental team, patients can keep preventable conditions away. These conditions can compromise the health of the smile in a major way. For example, cavities can become deep and troublesome, causing pain and discomfort. Procedures such as root canal therapy may be able to save the tooth, but in some instances, extraction of an otherwise healthy tooth may be required. Additionally, conditions such as periodontal disease can cause the loss of bone, gum tissue, and natural teeth, which can negatively impact the function and appearance of the smile. It is best to be proactive about dental health to ensure these problems do not develop in the first place! What is done during a routine examination? At Calgary Dental Centers, we want to help patients in achieving oral health and maintaining it for life, and often stress the importance of routine services with our team to keep problems from developing. We provide general, cosmetic, and restorative care for new and existing patients in the community and surrounding areas. Ready to work with a dental team that is here to help you enhance the health and wellness of your smile? Contact the team at Calgary Dental Centers. With two convenient locations, we can assist you in achieving the smile you’ve always wanted, one that is healthy and beautiful! Dr. Hanif Asaria and his team can be reached at their Macleod Trial office at (403) 768-1339 to schedule a visit with the team for a cleaning and evaluation. We welcome new and existing patients in the community to visit one of our practice for comprehensive care.